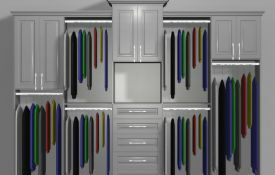 Artisan Custom Closets provides a completely personalized experience for designing, building, and installing a comple closet system. 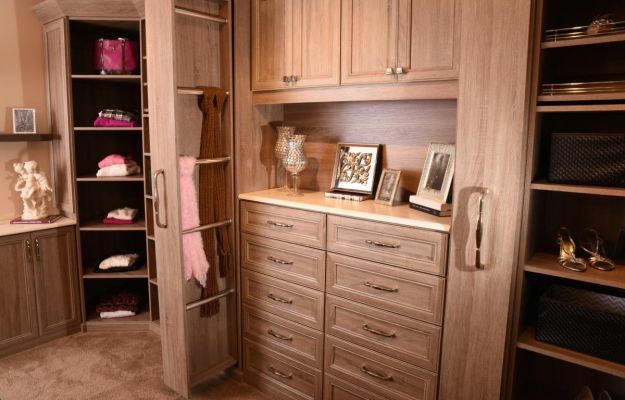 All of our closets are one-of-a-kind, built to fit your everyday needs. 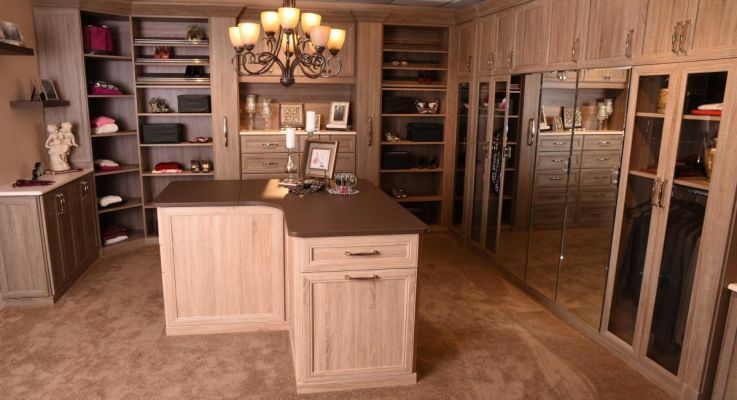 We’ll pair you with a design consultant who will offer ideas, provide 3D plans, and cost options. Installation can take as little as one day. 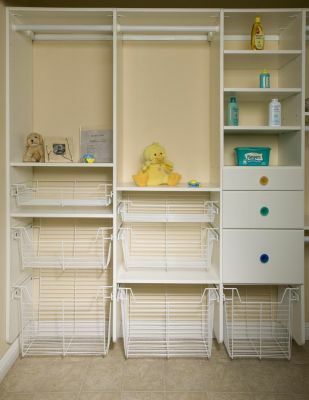 You’ll be amazed at the difference a custom-designed and organized space will make. 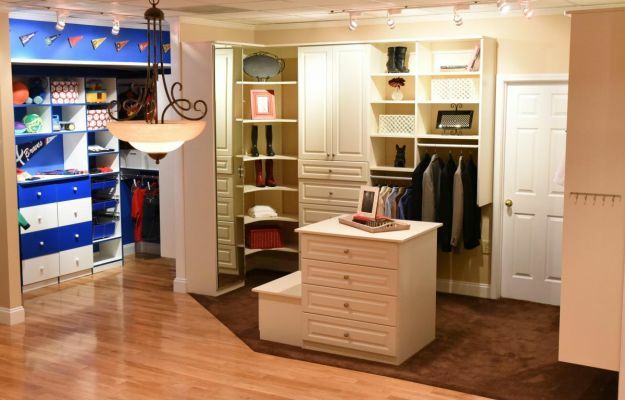 Visit our showroom in Marietta, Georgia, and start your dream closet design. 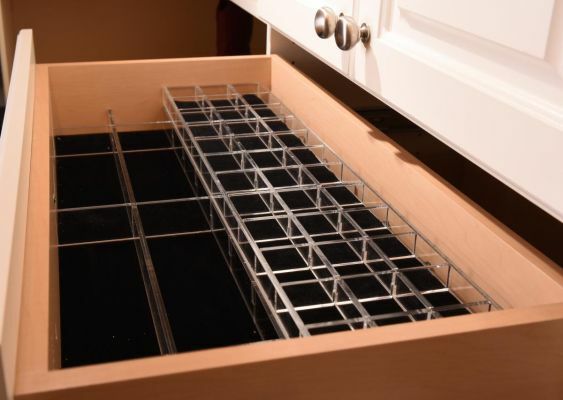 Organize Your Life. 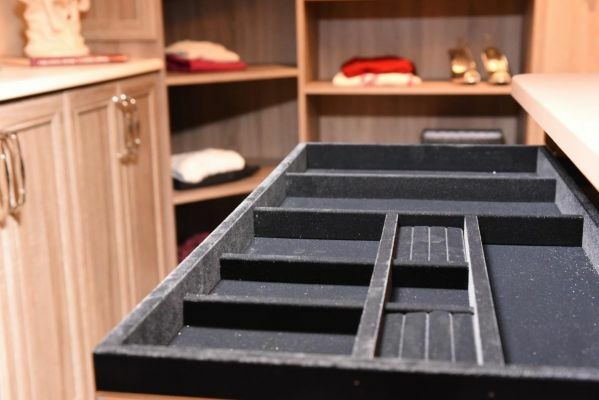 We can build exactly what you need to get your life organized the way you want, including all kinds of specialty storage for accessories and closet islands. 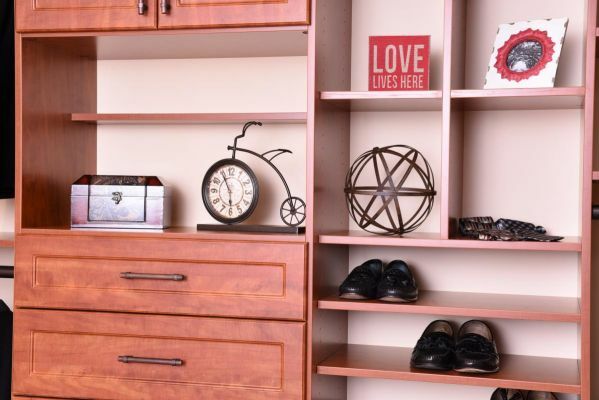 We can design them in a wide variety of woods and colors, as well as hardware selections. Local Craftsmen. 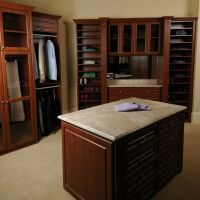 We do everything right here in Atlanta, from the designing to the production to the installation. 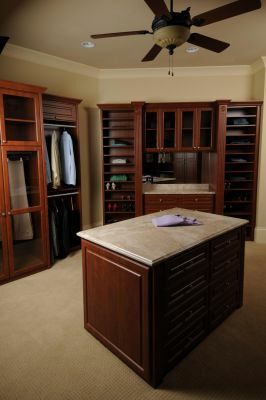 Our craftsmen are experts and can have your closet installed in as a little as one day. Fits All Budgets. 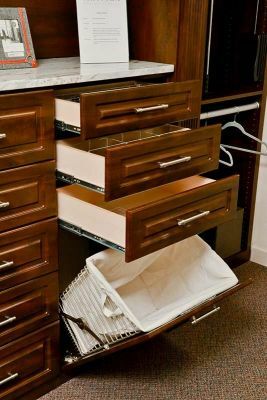 We can provide closet systems ranging from the Classic Closet all the way to the Elite Closet, with options to fit anyone’s budget. 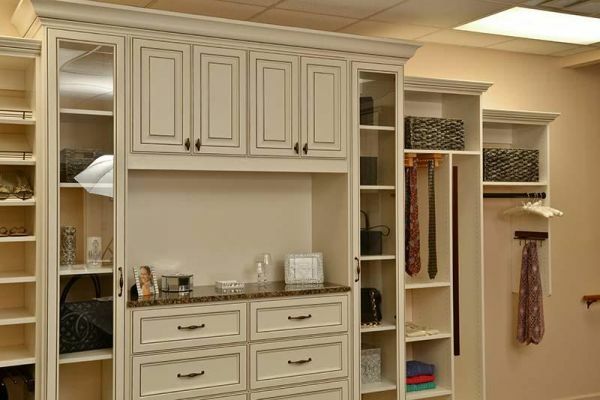 All custom closets and storage systems are one-of-a-kind, built for your home at our state-of-the-art manufacturing facility in Marietta, Georgia. 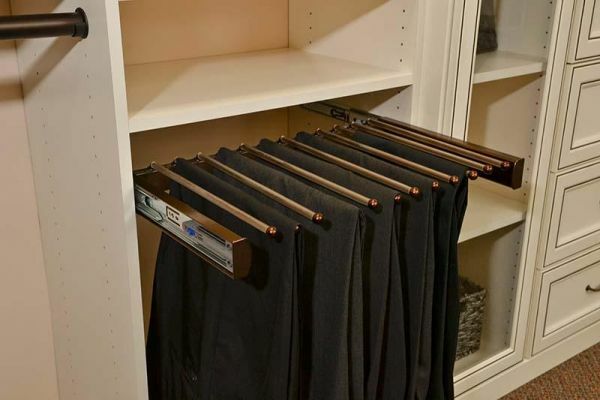 With their new custom closet system, people tell us it takes them less time to get ready in the morning. Now, that’s efficiency! 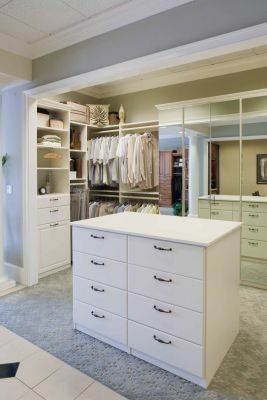 Imagine that moment when you first see your stylish, new master closet — you’ll fall in love with it and be astonished at the difference! 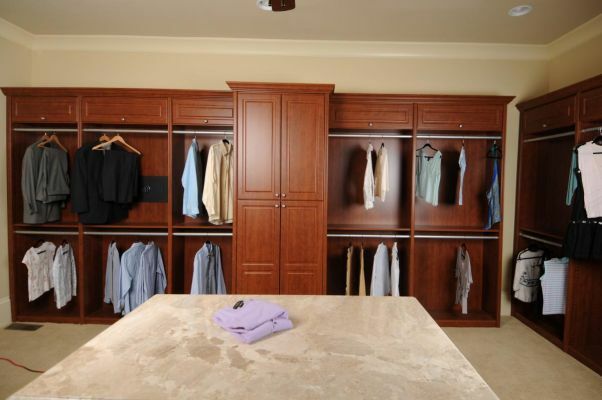 One of the most frequently asked questions we get is about the cost of a closet… "How much does a custom closet cost?" 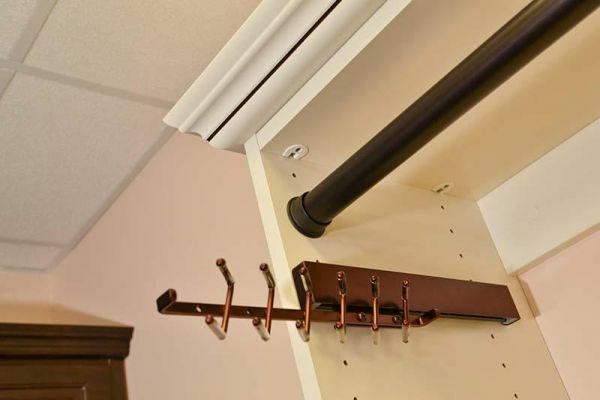 Of course, we understand the concern – with any home improvement, a client wants to know if a project is going to fit their budget. And we can honestly say that a custom closet can meet your budget – almost any budget. 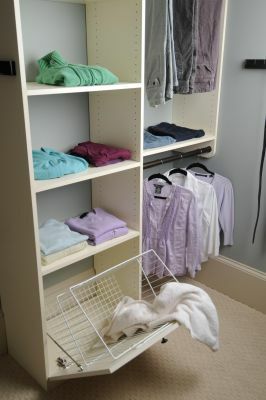 One factor that impacts the cost of the closet is its size – and that generally you don’t control. 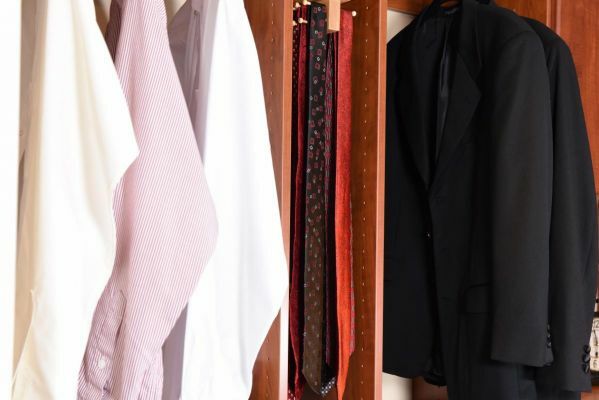 However, all of the other factors that determine the cost of a closet you do control – and we can work with you to customize your closet to suit your budget and your lifestyle. 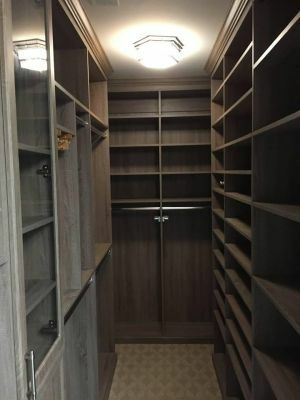 A custom closet in the exact same space can vary considerably based on the complexity of the design, the materials selected, the finishes and options desired, and enhancements like trim, backing, closet lighting and other decorative elements. 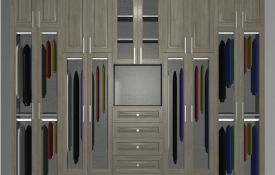 Artisan Custom Closets offers over 30 melamine color choices, 14 different door or drawer face styles, 5 different door inserts, and endless design options. 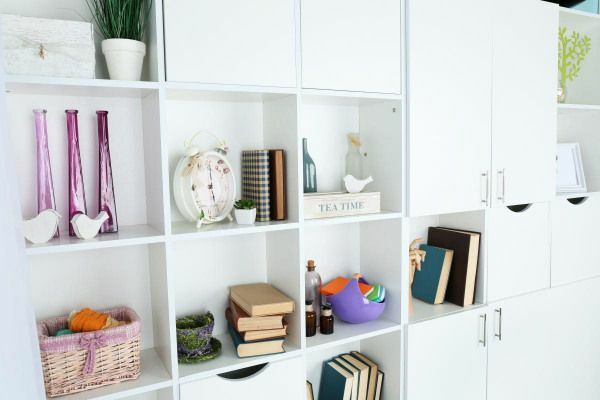 From our classic materials of white, almond or antique white to our new textured melamine, from a basic melamine door to a glazed door with mirrored inserts, from simple hanging and shelving, to a fully backed wardrobe with trim…. 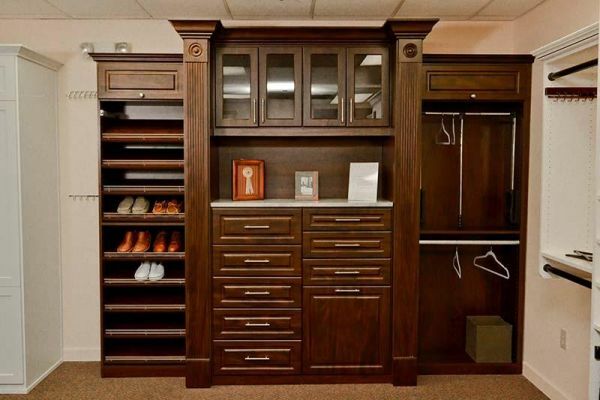 there are more than 2100 options for your custom closet. 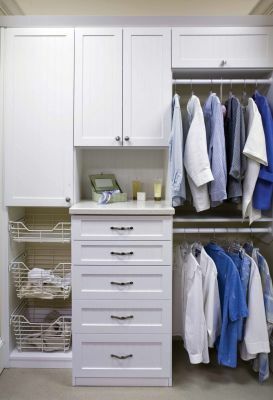 And this is where you come in… what kind of closet do you want? Just for function? 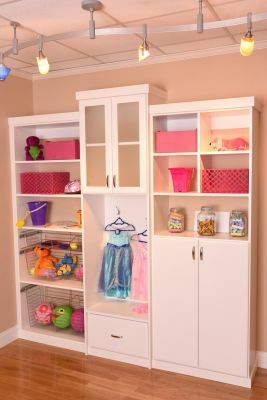 Simple but with a few important storage elements? Looking for a luxury retreat? 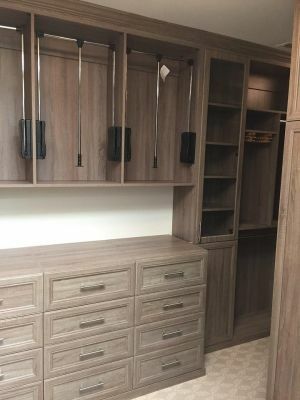 Below you will find four versions of the same 10' space – and the price for this space varies from $1,000 to over $3,500 due to the design and finish elements chosen. 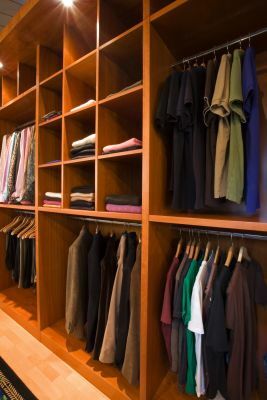 So how much will your custom closet cost? Not a simple question… but finding out is simple and fun! 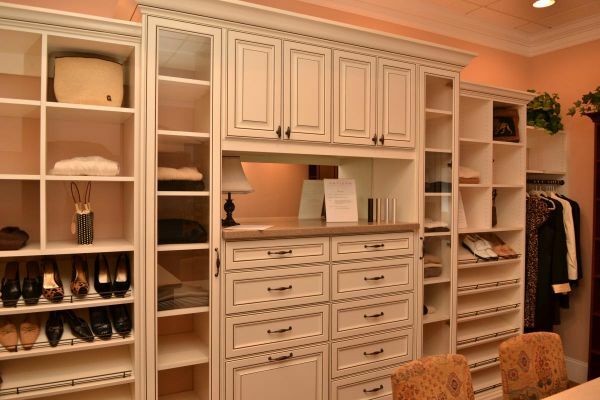 Just call us today to schedule a free in-home consultation so that your Artisan designer can assist you with choices that fit your budget and your lifestyle. Then you’ll know! 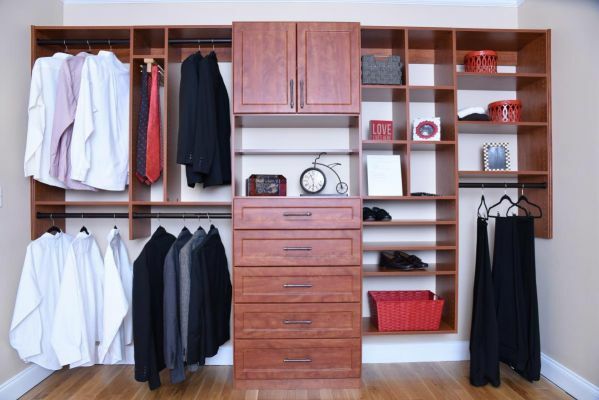 Do you have Closet Envy? No need! 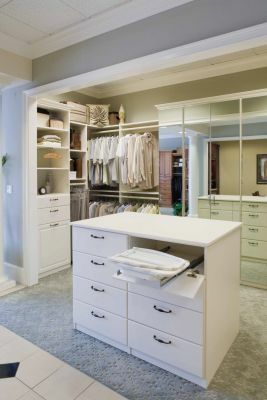 A custom closet will make the space uniquely your own and will make your life simpler. 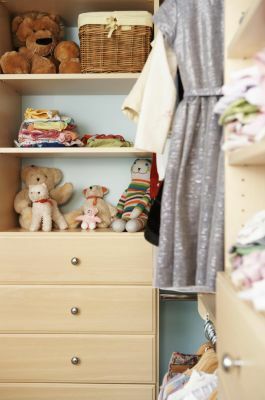 You can make room for the important items in your life, creating an organizational space for your clothing and accessories. 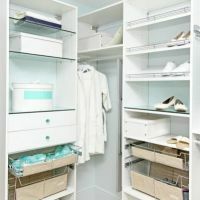 Put away the things you only wear a few times per year, organize your closet seasonally, create storage space to organize your jewelry and accessories, or create a custom closet system to arrange and organize your work clothes. 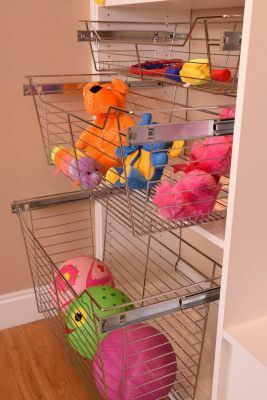 Anything that you need is possible and our team will work hard to make certain your needs are met. 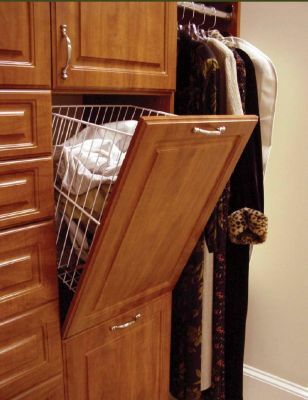 We start with your free, in-home consultation. 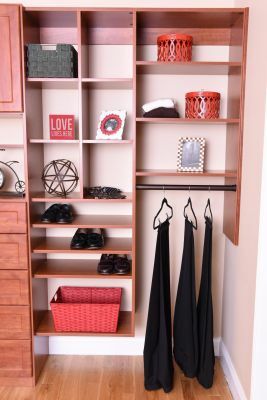 We will measure and take inventory of your current closet or storage space and work with you to determine your needs and figure out how to maximize the space available to you. 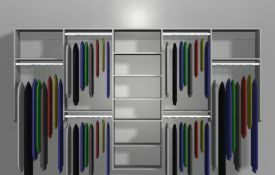 Then, we will create customized 3D designs to show you our vision for your dream closet. 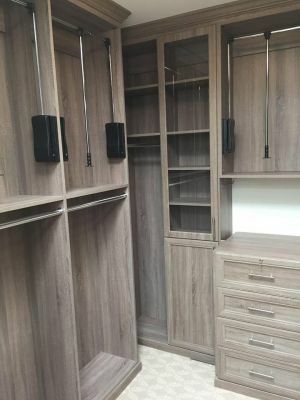 We will provide you with a personal design consultant to guide you through the rest of the process, and when you are completely satisfied with the design, we will get to work on production and installation. 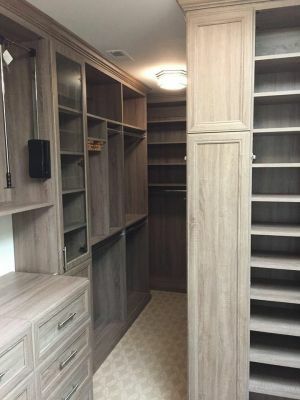 Most jobs are completed in one day and our average installer has more than 10 years of custom closet installation experience. 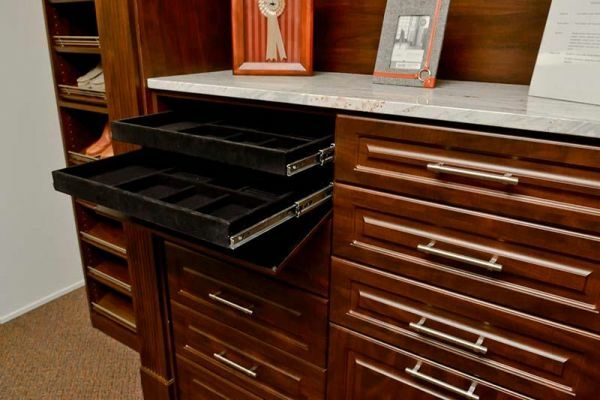 We can work with any style to fit the design of your home, and offer a wide range of materials. 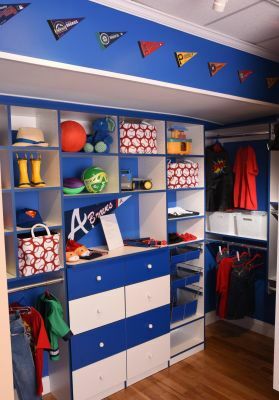 Each piece of your custom storage system is built locally in Marietta by expert craftsmen, designed and manufactured specifically to fit your custom space. 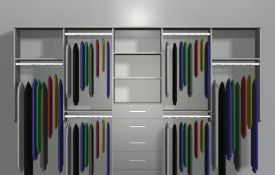 Learn more about our unique closet design process. Artisan is also committed to the environment and use high-quality green materials that are safe for your family and the planet. 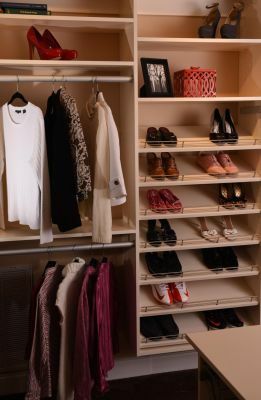 All materials that we use in the construction of your closet are certified to CPAEPP (Composite Panel Association's Environmentally Preferable Product) standards. 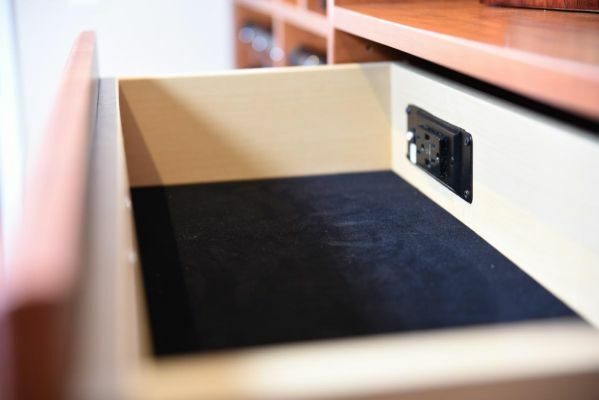 This means using recovered or recycled wood fibers for 100% of the material, keeping formaldehyde emissions low and a monthly audit to verify compliance. 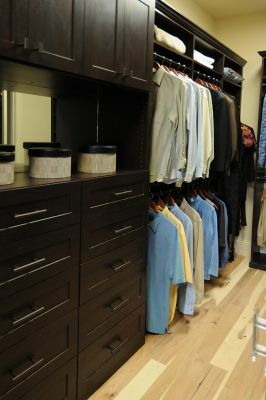 Collaborate with us to create your custom dream closet by filling out the contact form or calling us at 770-790-5368. 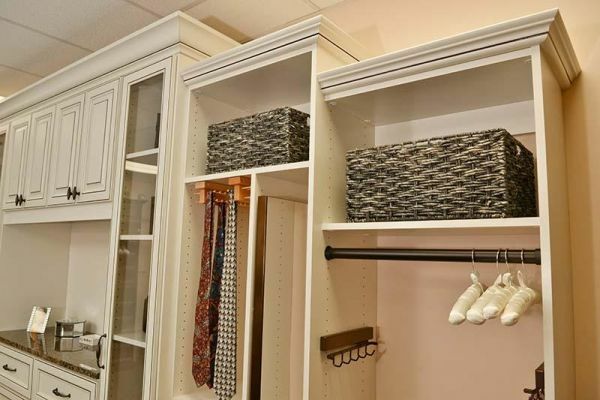 Artisan is the best choice in the Atlanta area for providing specialty work in designing, manufacturing and installing a completely custom closet for your home.